Bring the mystique of Halloween to any space. 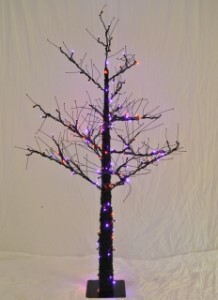 This 6' purple and orange lit Halloween tree is the perfect addition to your Halloween decorate. Black base with purple and orange LED's attached.